You can earn three free months of a SoGoSurvey subscription simply by inviting your friends and colleagues to use SoGoSurvey. Every time your friends sign up for a paid yearly package (or three paid packages) we will waive your next three months of charges, and your friends will get a 10% discount on annual packages. Click on the Refer a Friend icon in the header. 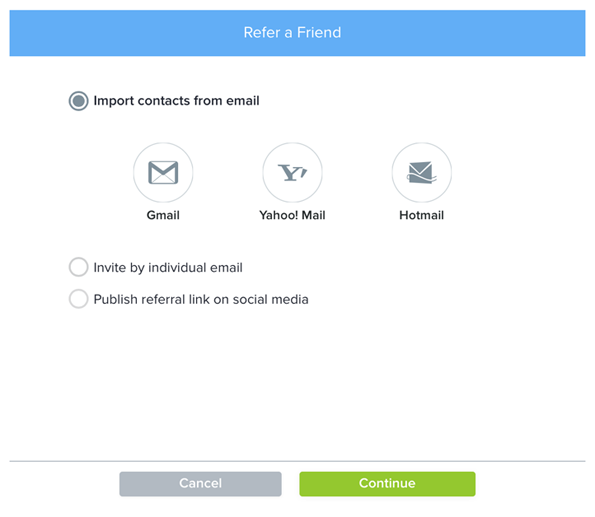 Or, click on your account name in the top right-hand corner, select Settings, and then choose Referral Program. Click on the ‘Invite others to SoGoSurvey’ button. Publish referral link on social media: Post the referral link on social media platforms, such as Facebook, LinkedIn, Twitter, or any other website. Modify the message and invite your friends.